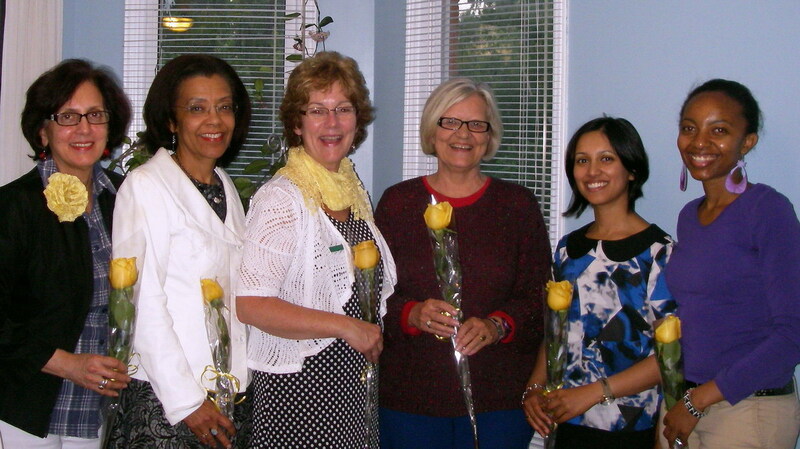 At Zonta Mississauga, Advocacy and Service go hand in hand! We are a registered charity and issue tax-creditable receipts. We seek more members to join us. Our Club seeks partnerships with groups in the city that serve to ‘advance the status of women’ through their own programs and initiatives. What differentiates our Zonta Club us is that we are part of Zonta International, founded in 1919, a worldwide group of 30,540 women in over 60 countries. Through the Zonta International Foundation, Zontians and Friends of Zonta provide funding for international service projects. Please visit: www.zonta.org. Zonta International has Advisory Level 2 at the ECOSOC of the United Nations. Zonta Club of Mississauga was chartered in 1967. We are a part of District 4 which runs north south from Pittsburgh, Pennsylvania to Owen Sound, Ontario. Over the years, our Club has raised and donated more than $1.2 million to community projects. We support projects that address the needs of women. More recently, our focus has turned to women’s economic empowerment through entrepreneurship education and micro-skills. These investments can make a big difference in the lives of women. We invite Mississauga businesses and individuals to donate towards our current and future Service projects. We meet on the first Tuesday of the month, from September to June. The exceptions are September and January when the date is bumped forward due to Labour Day and New Year’s. For this Zonta year our new venue is to be announced soon. Our meetings focus on Club business, fellowship and may include a guest speaker. Prospective new members and guests are welcomed. Members contribute to the Club’s success in fulfilling its mandate by serving on committees or on the Executive. For most, it may involve a few hours per month –some from home and at the one meeting. Executive members may also have short Skype meetings to attend to matters between regular meetings. Things are busier closer to our main fundraising event – usually in April. On and around International Women’s Day or other special dates we often join hands with other local organizations to have greater community impact for Advocacy. 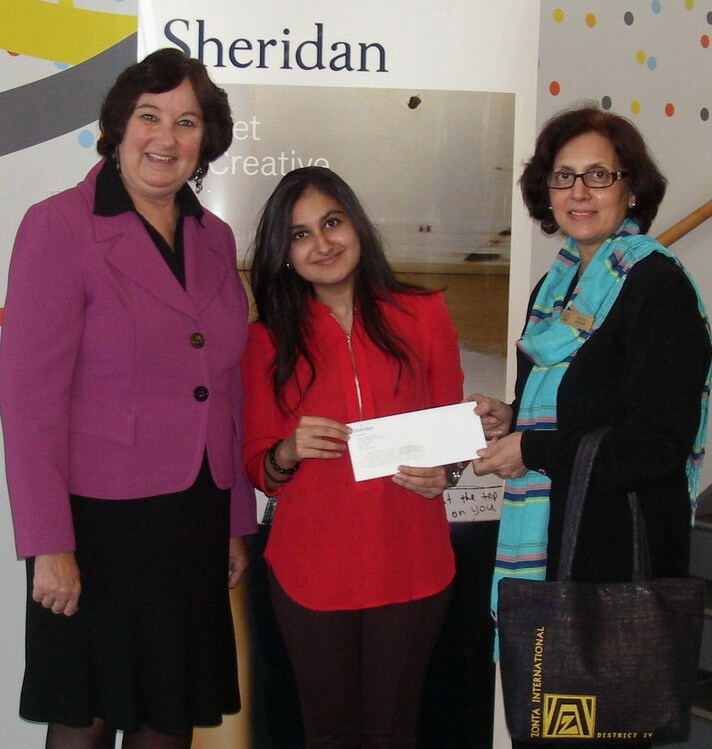 Zonta Gives Back: Our Zontapreneurs Scholarship awarded to a female student at Sheridan College’s business campus in Mississauga who is planning to start her own business. The 2013 scholarship award was won by Tehniat Noorani.